What’s really cool about Hawaii is that the tropical atmosphere makes you feel like you’re in a really exotic island country, but yet you have all the benefits of being in a place that’s compliant with the Americans with Disabilities Act. Each island has its own feel, so if you’re looking for urban and busy and shopping and nightlife, definitely hit Waikiki in Honolulu. if you want a more laid-back and mellow vibe, head to Maui. For more greenery and nature, Kauai would work best. For accessibility and options for doing and seeing things, I’m a fan of Waikiki Beach. Yes, it’s busy and traffic can be crazy. But you can easily visit places like Pearl Harbor, the National Memorial Cemetery of the Pacific, and Iolani Palace. You can even go to a luau to enjoy some amazing Hawaiian food and watch silly tourists try to hula dance on stage. 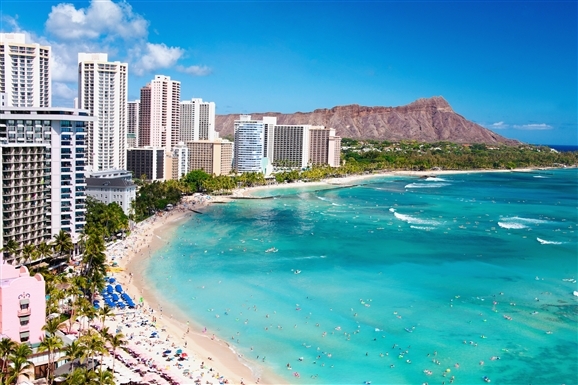 There are numerous wheelchair accessible beaches in the Waikiki area with sand mats, and getting around Honolulu without a rental car is easy. All city buses are accessible, and you can also use the Waikiki Trolley. All the Pink and Blue Line vehicles are wheelchair friendly. On the Red, Green, and Purple lines there is one wheelchair lift-equipped trolley per line, so these trolleys come by at a bit longer interval. Many people are feeling the deep winter chill, and many of us have summer vacation on the brain! However, it doesn’t have to be a particular season or time of the year to travel somewhere to relax for a few days. Fortunately, there are several very wheelchair accessible locations around the world that are perfect for a quick city break or a longer family holiday. Here are my picks for the best wheelchair accessible vacation spots in the world. This island paradise is the largest of Spain’s Canary Islands off the coast of West Africa. It’s a very popular vacation spot with Brits looking for sunny days, especially during the UK’s colder months, and for some reason it hasn’t been fully discovered by Americans as a go-to spot. Tenerife offers the unique experience of swimming and sunbathing on a beautiful beach while being just a few miles away from snow sparkles on the crest of Mount Teide. What many wheelchair users may not know is how incredibly wheelchair accessible Tenerife is. There are plenty of cultural attractions to visit around the capital of Santa Cruz such as the Auditorio de Tenerife, the Museum of Fine Arts, and Museum of Nature and Man. The city’s wide promenade-style walkways, plazas, open-space gardens and parks, and museums are for the most part accessible. Tenerife’s public transportation system was the first in Spain to be certified as offering Universal Accessibility. Public buses, touristic buses and tram are accessible for wheelchair users. Arona’s barrier-free facilities and services, as well as the calm waters surrounding them, make these beaches ideal to enjoy for anybody with reduced mobility. It’s hard to pick just one location in Florida that makes it an ideal vacation spot for wheelchair users. 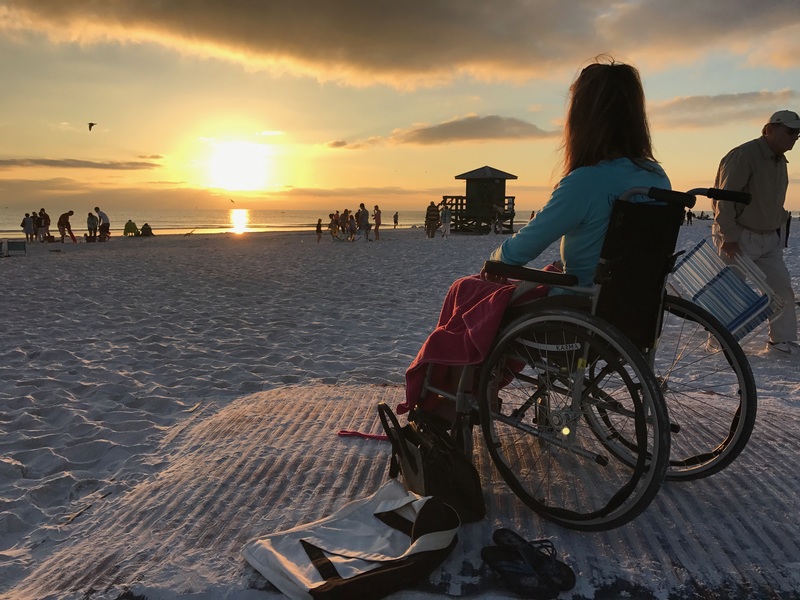 The Sunshine State is known for it’s excellent beaches, and dozens of them have access mats and/or boardwalks that make them wheelchair accessible. Orlando is home to several theme parks, including highly accessible ones like Walt Disney World, Universal Studios, and Sea World, which make the Central Florida city a great family-friendly destination. Motorsports racing fans can take a wheelchair accessible All Access tour at Daytona International Speedway, and nature lovers can go on accessible airboat tours in different locations around the state. Florida is also the epicenter for Caribbean cruise departures from the USA, and cruises are easily one of the best ways for wheelchair users to see the world and relax. The capital of Slovenia, which used to be part of the Former Republic of Yugoslavia, is still a largely undiscovered tourist destination. Ljubljana also happens to be one of Europe’s greenest and most liveable capitals. Indeed, the European Commission awarded Ljubljana with the coveted Green Capital of Europe title for 2016. 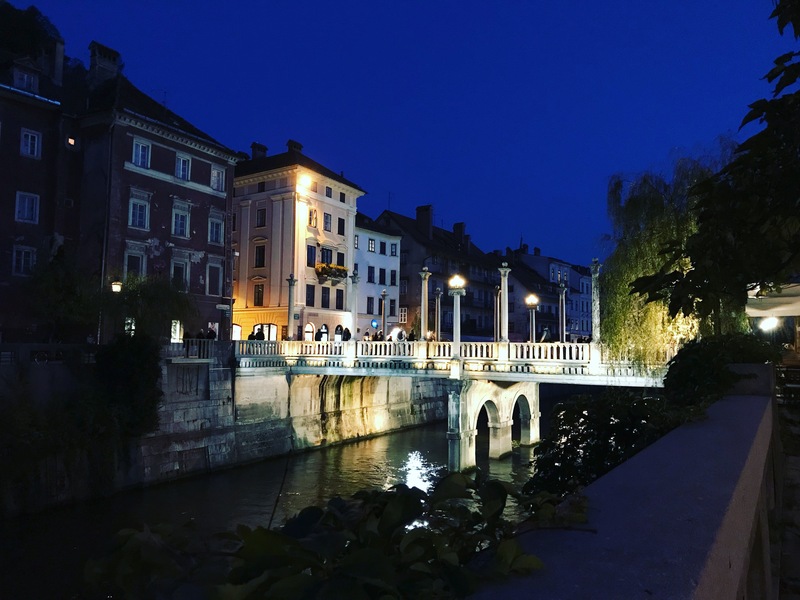 Car traffic is restricted in the centre, leaving the leafy banks of the emerald-green Ljubljanica River, which flows through the city’s heart, free for pedestrians, cyclists, and wheelchair users. In summer, cafes set up terrace seating along the river Ljubljana is also one of the most wheelchair accessible cities in all of Europe. I was actually overwhelmed by how easy it was to get around the city. There are ramps everywhere, and while most of the public buses are accessible, the city is so small you don’t even really need to take them. All public buildings are required to have access, and the museums I visited all had ramps and accessible entrances. In 2015, the city of Ljubljana won the Bronze Access Award, and has also won a Green City award. There are four electric taxicabs that run around the city transporting passengers for free, and two out of the four are wheelchair accessible. What makes it a great vacation spot is that the stunning Julian Alps, Lake Bled, and Lake Bohinj areas are only an hour’s drive away, which means you can enjoy both an accessible city break and a relaxing stay near mountains and lakes during the same visit. What’s really cool about Hawaii is that the tropical atmosphere makes you feel like you’re in a really exotic island country, but yet you have all the benefits of being in a place that’s compliant with the Americans with Disabilities Act. Each island has its own feel, so if you’re looking for urban and busy and shopping and nightlife, definitely hit Waikiki in Honolulu. if you want a more laid-back and mellow vibe, head to Maui. For more greenery and nature, Kauai would work best. For accessibility and options for doing and seeing things, I’m a fan of Waikiki Beach. Yes, it’s busy and traffic can be crazy. But you can easily visit places like Pearl Harbor, the National Memorial Cemetery of the Pacific, and Iolani Palace. You can even go to a luau to enjoy some amazing Hawaiian food and watch silly tourists try to hula dance on stage. There are numerous wheelchair accessible beaches in the Waikiki area with sand mats, and getting around Honolulu without a rental car is easy. All city buses are accessible, and you can also use the Waikiki Trolley. All the Pink and Blue Line vehicles are wheelchair friendly. On the Red, Green, and Purple lines there is one wheelchair lift-equipped trolley per line, so these trolleys come by at a bit longer interval. It’s also extremely easy to find resorts on or near the beach that have wheelchair accessible accommodations. Just like Florida, it’s hard to pick just one part of Australia that’s perfect for an accessible vacation because there’s so much to see across this amazing island/continent/country. Downtown Sydney is incredibly wheelchair accessible. You can take an accessible tour of the Sydney Opera House and catch amazing views of the Harbour Bridge. You can also take a ferry to gorgeous Manly Beach across the Harbour and roll along the boardwalk that borders the gorgeous beaches there. The sidewalks and the roads are in great shape, and while there are several hilly areas, they are manageable. Most of the places I passed had flat entries, and oddly enough the only inaccessible stores I saw were “convenience” stores that had a step to enter. Sydney also has tons of wheelchair accessible taxis that can be summoned suing a dedicated phone app. 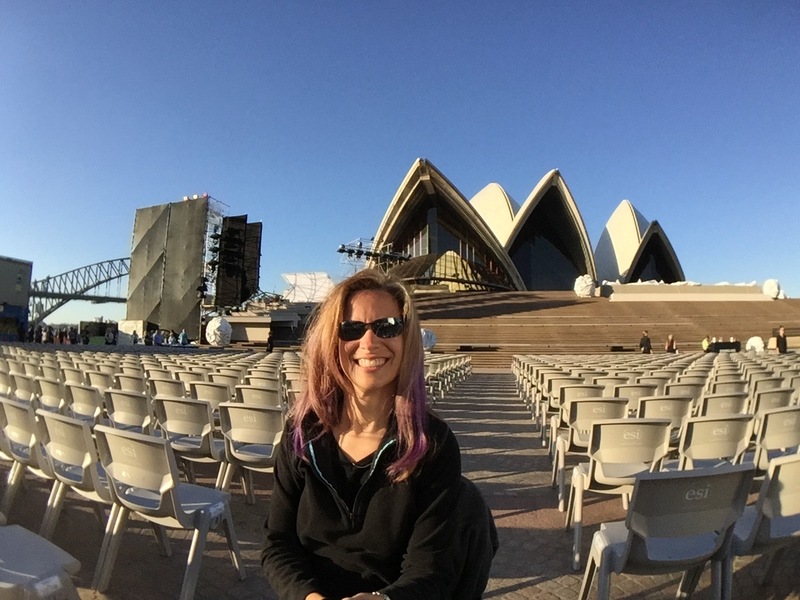 Public transportation is fantastic, and you can take the metro to cool sights like Sydney’s Olympic Park, where you can take an accessible tour of the Olympic stadium and see the Aquatic Center. You can’t miss a relaxing stroll through the Royal Botanic Gardens, and for an outdoor adventure, you can take an accessible tour to the breathtaking Blue Mountains about a 90-minute drive outside the city. When you think of a remote island country in the Eastern Caribbean, you may not immediately associate it with wheelchair accessibility. While Barbados still has many challenges to overcome when it comes to offerings for wheelchair users, I found it to be an extremely welcoming country that’s working hard through it’s 2012 Fully Accessible Barbados (FAB) initiative. A consortium of government agencies is offering incentives to investors who wish to build or refurbish a property or product for use in tourism, and “recognizes the importance of accessibility in order to achieve the truly inclusive society which is part of [their] vision.” I chose Barbados as a travel destination because of the FAB program, and while I knew I would have to work harder to get around, I also knew I would have some help and a positive attitude from the people of Barbados. 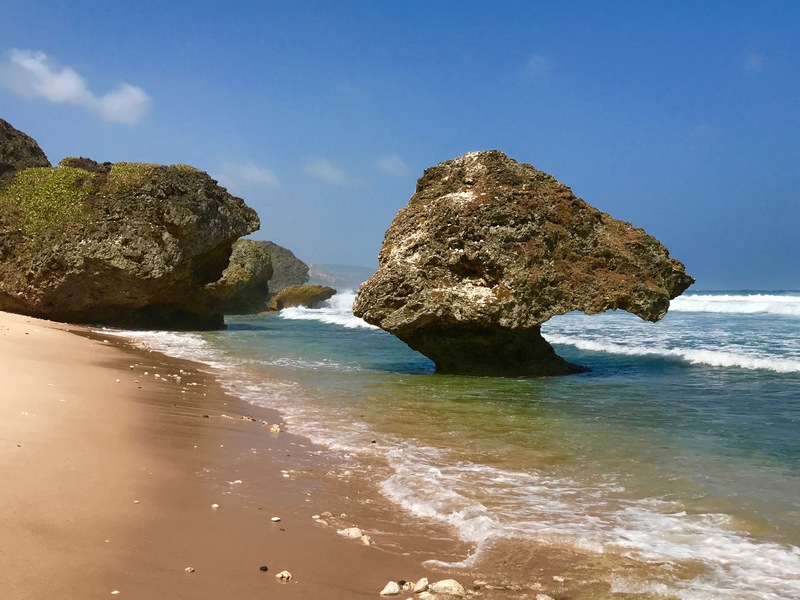 Barbados is a small island country, and you can find several wheelchair accessible hotels and all-inclusive resorts in or near Bridgetown that have beach wheelchairs – even the amphibious ones that let you get in the water! You can also take a wheelchair accessible tour to visit beautiful sights like Harrison’s Cave, Cherry Tree Hill, Bathsheba Beach and the Soup Bowl, and St. John’s parish church. Barbados is a port of call for cruise ships, but after spending several days there, I would highly recommend it as a standalone vacation spot for wheelchair users. Words cannot adequately convey how awe-inspiring it is to visit Alaska, from hearing the thunderclap of a cleaving glacier to seeing bears and bald eagles in their natural habitat. Taking an accessible cruise is easily the best way to explore the Great Frontier. Many Alaska cruise itineraries are similar from cruise line to cruise line with only minor variations. 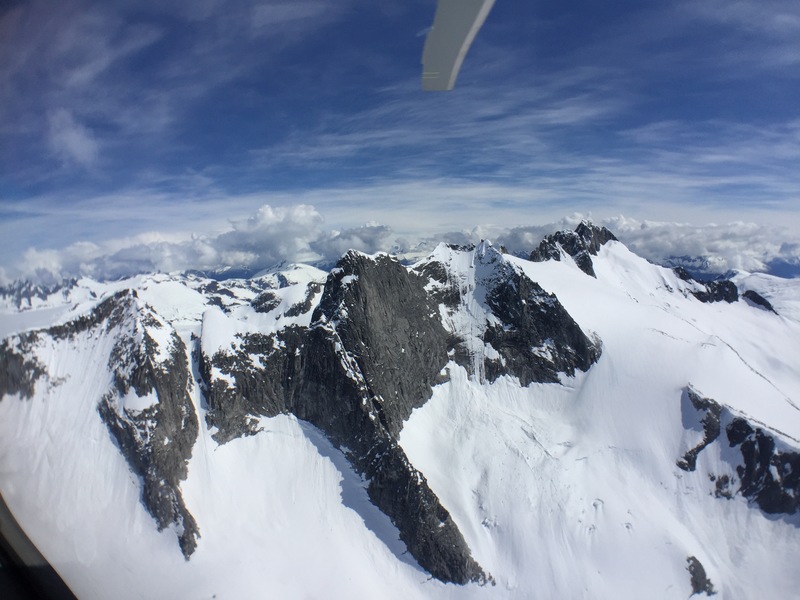 They usually involve three or four ports of call and cruising through one of the many glacier viewing areas where the sea is like glass. Typical ports of call include Juneau, Ketchikan, Skagway, Victoria, Icy Strait Point, and Sitka. Since Alaska falls under to purview of the Americans with Disabilities Act (ADA), there are plenty of wheelchair accessible shore excursions you can take on an Alaska cruise, including a crab fishermen’s boat tour, lumberjack show, glacier tours, whale watching, and even an accessible helicopter tour (with lots of advance notice/planning). Several cruise lines offer dock-only itineraries to ensure you can get off the ship at every port. Dubai in the United Arab Emirates can seem like a world away from everything, and that’s probably because it pretty much is. From my home in Orlando, it’s roughly a 15-hour direct flight, which is a lot to handle – especially for newbie travelers. However, Dubai is one of the most unique cities in the world that you’ll ever visit, and also one of the most wheelchair accessible. This is mostly due to the fact that nothing in Dubai was built more than two decades ago. The city site was mostly sand and dust prior to the 1990s, so everything is glittery and shiny and new – and largely designed with stroller-toting moms, older individuals, and wheelchair users in mind (with a few exceptions). There are tons of wheelchair accessible things to do in Dubai, including riding to the top of the Burj Khalifa (the tallest building in the world), relaxing on the beach at an accessible resort, shopping in the glittering souks, indulging in a luxurious Friday brunch, or going on a desert safari adventure. For all of it’s amazing accessibility, including public transportation, Dubai is incredibly short on dropped curbs, so you may want to consider bring a small portable ramp with you. 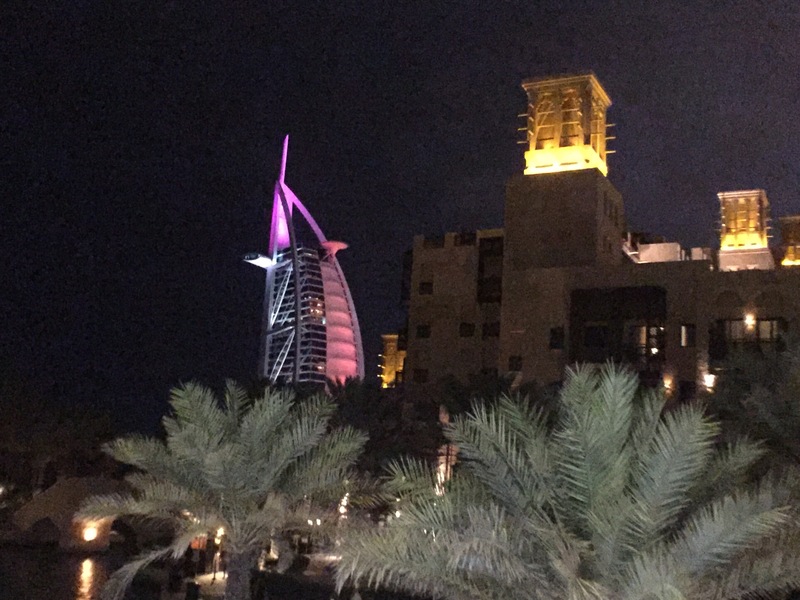 Dubai is a fantastic vacation spot for wheelchair travelers who prefer an urban environment with beaches close by and lots of big city-type things to see and do. White sand beaches, turquoise waters, mouth-watering food, and glorious sunshine. These are all hallmarks of Mexico’s famed Riviera Maya and the nearby resort city of Cancun on the Yucatán Peninsula. Unfortunately, one term that isn’t often associated with these locations is wheelchair accessibility. While Mexico has no laws comparable to the Americans with Disabilities Act (ADA), more and more beachside hotels and all-inclusive resorts are recognizing the market demand of wheelchair users who want to enjoy the Mexican sunshine like everyone else. 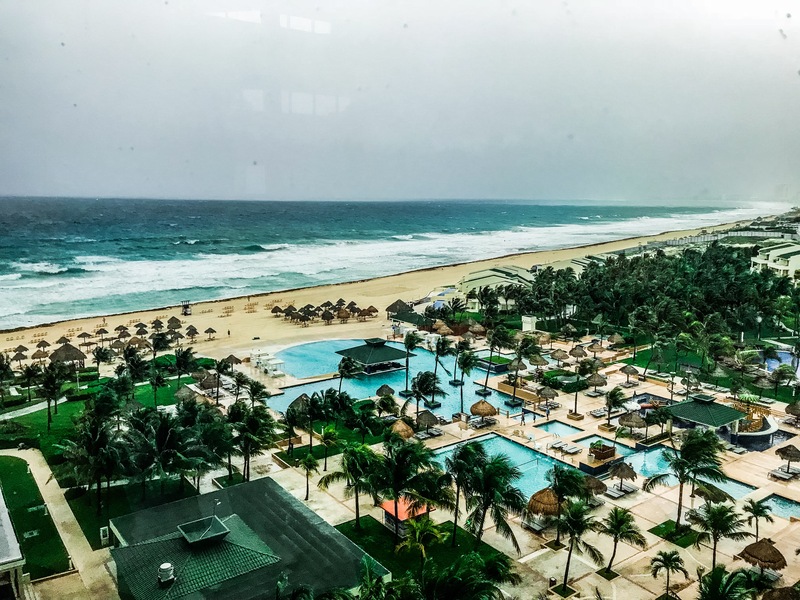 In my capacity as an accessible travel agent, I traveled to Cancun and Playa del Carmen in late May 2018 to conduct site inspections of several all-inclusive resorts, and five of them are fantastic for a wheelchair accessible beach getaway in Mexico. This is the place to go if you want to relax and not have to go anywhere for amazing food, drinks, and wheelchair beach access. That being said, there are companies in Cancun that offer wheelchair accessible tours of places like Tulum and Chichen Itza, and also offer beach wheelchair, scooter, and mobility equipment rentals. Some all-inclusive resorts are for adults only, and others are very family friendly. A coming-together of cultures, cuisines and landscapes, there’s nowhere quite like Cape Town, a singularly beautiful city crowned by the magnificent Table Mountain National Park. The flat-topped mountain is the headline act, but there are many other equally gorgeous natural landscapes within the park’s extensive boundaries. Human creativity is also self-evident here – it’s one of the things that made the city a World Design Capital in 2014. Wrenching yourself away from the magnetic mountain and all the delights of the Cape Peninsula is a challenge, but within an hour you can exchange urban landscapes for the charming towns, villages and bucolic estates of Winelands destinations, such as Stellenbosch and Franschhoek. Thanks to accessibility initiatives and accessible tour company offerings, there are lots of great hotels to stay in and beautiful sights to see in and near Cape Town. 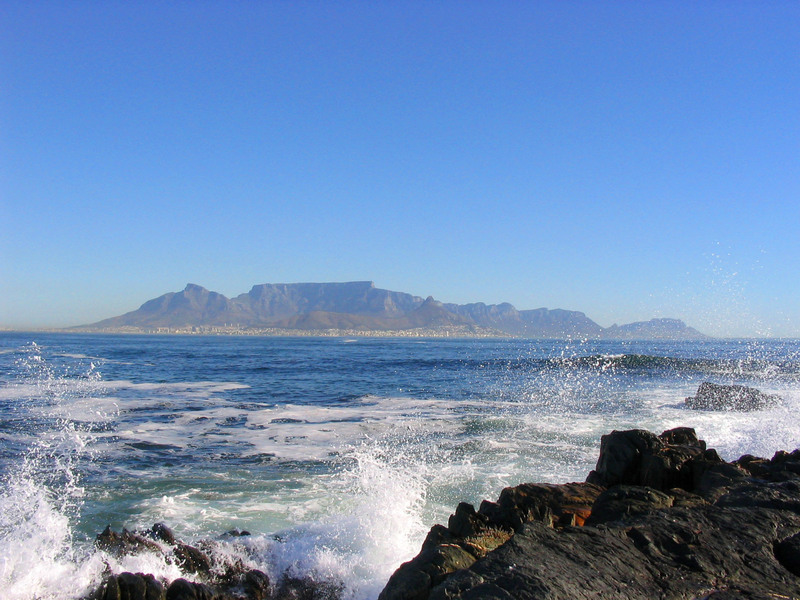 Wheelchair users can take the cable car up to the top of Table Mountain or use the hop-on hop-off sightseeing bus to visit various museums and outdoor spaces like Green Point Park. You can also visit the place where Nelson Mandela was imprisoned for 18 years. Tours depart daily from The Nelson Mandela Gateway to Robben Island Museum at the V&A Waterfront and last for approximately 3.5 hours. A boat ride of 30-45 minutes in each direction is wheelchair accessible, as is the bus and walking tour on the island. I may be biased because my country’s capital is my favorite city in the USA. This is probably because there are so many amazing things to see, from some of the country’s best museums (many of which are free) to stunning monuments and architecture to food from all over the world. Washington, DC is also very easy for wheelchair users to get around, as its metro system is arguably the best in the country. Rolling/walking is the best way to take everything in, so make sure your power chair is fully charged! 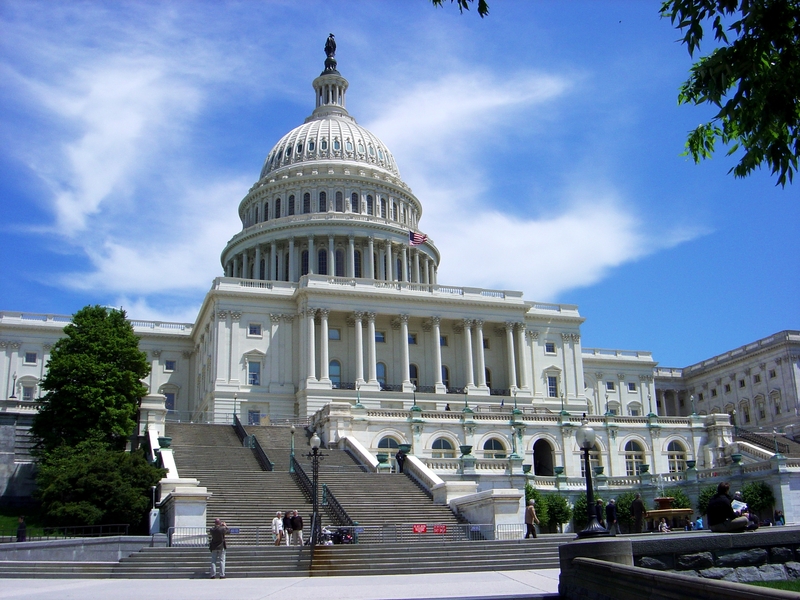 DC is a great vacation spot for both couples and families with a wheelchair user, and there are tons of side trips you can make to nearby Virginia and Maryland, including Mount Vernon, Shenandoah National Park, Annapolis and Baltimore, and Colonial Williamsburg and Yorktown. If you don’t have the use of an accessible van/vehicle, you’ll still have a hard time running out of wheelchair friendly things to do in DC, from the Smithsonian museums to the Lincoln Memorial and Spy Museum. my husband and I are heading to the Caribbean for vacation. After looking at your article of Barbados, it’s a first choice. I use a wheelchair and can transfer as long as it’s not in a bus/ high seated van. My husband is not disabled. We love adventure, looking for romance, things to do outside of resort, room service, beach, pool, 4-5 stars preferred. Thanks! Hi Debbie! Please email me at Sylvia@spintheglobetravel.net if you need help making reservations! I wanted to add for your readers that Lovers Key, Florida does an amazing job getting visitors in wheelchairs out on the beach using beach-wheel chairs. When I was traveling with my husband, fighting a terminal cancer diagnosis, and two young kids the Lovers Key staff and rangers really made the experience happen so we could enjoy the day as a family on the beach. Thanks for the article! What a terrific resource!